The July issue of Shueisha's V Jump magazine will reveal on Wednesday that Bandai Namco Games will be making a new game for Sony PlayStation 4 console as well as for the PlayStation 3 and Xbox 360. 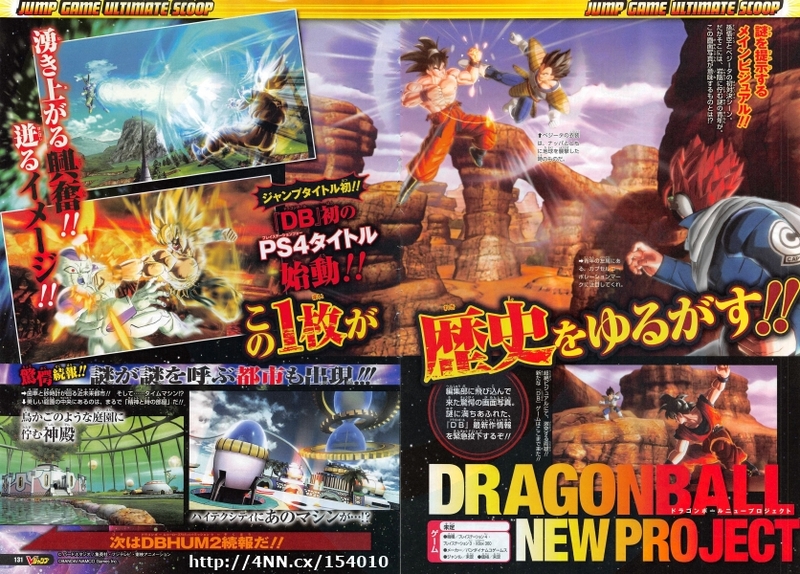 The untitled game will get the first Dragon Ball Title and will be the first Jump title for the PlayStation 4 console. In addition to characters from the manga and anime series it will also feature a mysterious high-tech city located in the near future with a time machine, as well as the Hyperbolic Time Chamber.